I want to wish you all very happy holidays and a wonderful new year! Let’s celebrate families, however they come to be “family”, and what that means to each of us. 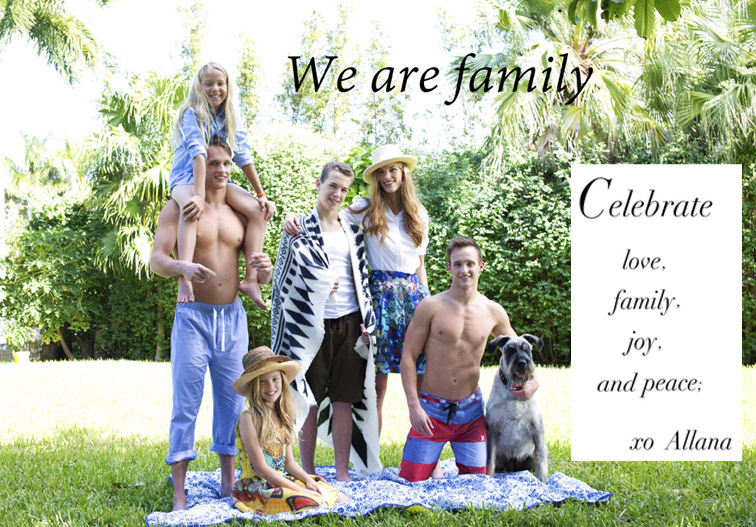 Models are twins Price and Wesley with Elite Models Miami, Alecsa and Dylan with MP Mega Model Management Miami, and twins Kylie and Hannah with Soleil Kids. 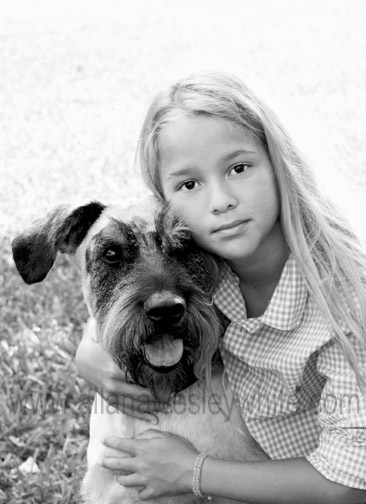 And sweet Fina, the giant schnauzer. This entry was posted in Beauty and Fashion, Kids and Teens Models and Actors, lifestyle, News and tagged Allana wesley White, allana wesley white photography, Blush and Beyond, Colleen Stone Makeup Artist, Holidays 2015, kids fashion editorials, kids models, kids supermodels, Laura Taylor Stylist, lifestyle fashion, new faces models, Robert Swedroe, Swedroe by Ariel, twin models, www.allanawesleywhite.com, www.blushandbeyond.com, www.laurataylorstylist.com on December 14, 2015 by allanawesleywhite. Remember those kaleidoscopes we played with a kids? Wouldn’t you like to wear some of those wonderful prisms and swirls and colors? 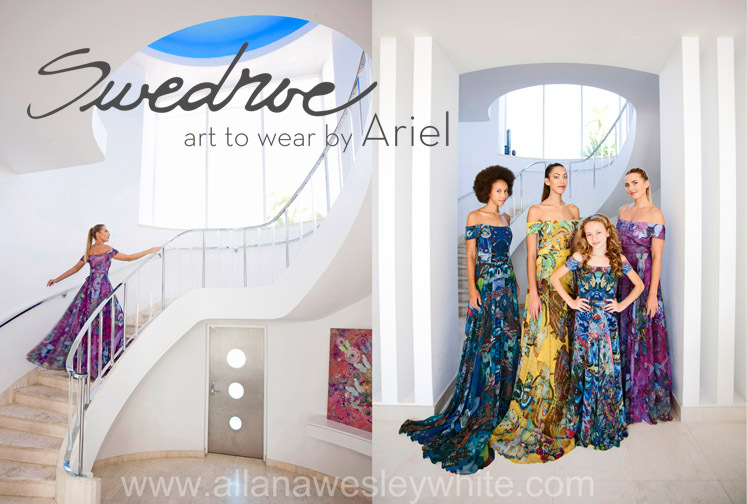 Now you can: teen fashion designer Ariel Weinberg combines the visionary collage art of her grandfather Robert Swedroe with luxurious fabrics and sophisticated designs to create her stunning collections. The new season is no exception with graphic prints on charmeuse, silk, and neoprene. No two pieces are exactly alike and all are guaranteed to be conversation piece. 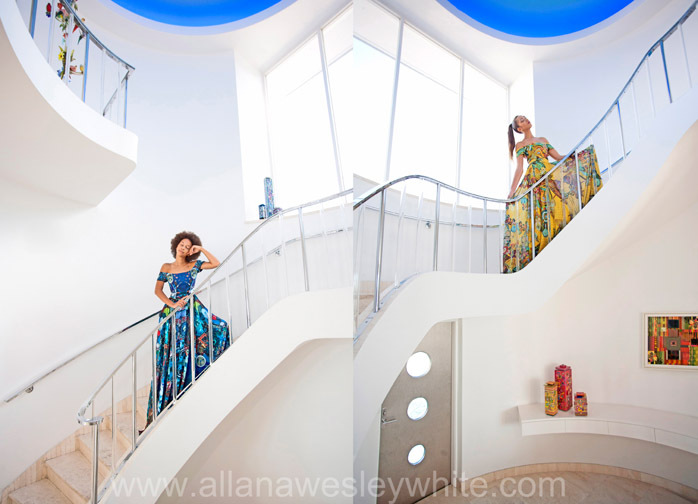 This entry was posted in Beauty and Fashion, Fashion Passion and tagged Allana wesley White, allana wesley white photography, Ariel Weinberg, art and fashion, collage art, colorful fashion, custom fashion design, fashion and art, fashion fashion designers, made to measure fashion, resort fashion 2016, Robert Swedroe, spring fashion, spring fashion 2016, Swedroe by Ariel, teen fashion designers, unique fashion on December 6, 2015 by allanawesleywhite.